Most of the counter stools designed by Amisco have seats that stand at the 26-inch counter height level. The Barry Short Counter Stool is shorter than most of the Amisco counter height stool offering, with a seat that stands at only 24 inches tall. This shorter height is ideal for sliding under shorter counters and other smaller surfaces. The Barry Short Counter Stool is part of Amisco’s line of urban-style stools that carry a sleek, modern styling. 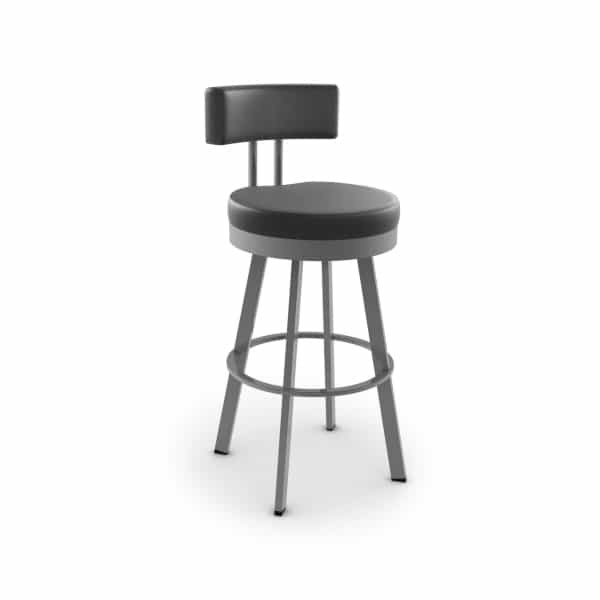 The Barry Short Counter Stool features a well-cushioned seat and backrest. The backrest acts as support and the seat sits on a convenient 360-degree swivel. The fabric of your choosing covers the cushion. You may browse the huge selection of options below. The frame is made of steel, but can be finished in a more subdued color of your choice. The frame finish options are also viewable below. Amisco offers the inspiration- you make the Barry Short Counter Stool truly yours!